That's cool. I wonder how many other companies will come out with replacement freecoaster drivers for theircassettes? Maybe gsport??! that sounds like a good idea. when i remove the screw to apply the locktite, do i need to be mindful of anything inside of the hub falling out of place causing me to open it back up? i can rebuild a nankai practically blindfolded, but this thing is all new to me. Bought a used wheel with a Poverty free coaster, works great. No problems at all. My KHE Greyhound just arrived yesterday. Haven't ridden it yet but looking forward to it soon! I can't believe how light these are. Nope. I've ridden the thing without the screw fine. 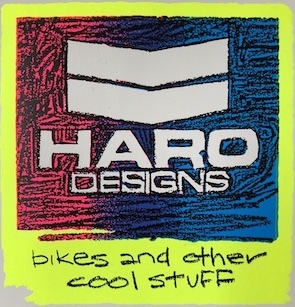 I'm still using a Haro Turbine from '02. Just my opinion does not mean everyone feels the same.Still want to try a Nankai and the rest of the new ones coming out now. Can you get the same amount of slack on an Ezra as a khe or rush? i got a few hours in on my rush v2 over the last couple of days. so far it has worked very nicely. i have messed with the slack a bit trying to get it dialed in to where i like it. the biggest difference from all of the nankai's i have used over the years is how smooth this thing is. much smoother than a perfectly dialed nankai. tear down and assembly is way faster and easier than the nankai. if this hub continues to work as smooth and consistent as the first few sessions, i'll probably hang up the nankai wheel for good. I had a 3/8 Nankai and an Odyssey Reloader several years ago. I hated the Odyssey,I could never get a minimal amount of slack no matter what I tried. Always cracked my knees and/or the slack was inconsistent. I got mad and gave it away lol. The Nankai I had on a flatland bike,worked perfectly with very minimal slack,loved it! Looking for a KHE/Federal /Alienation to try out now. Haven't rode in a few years so it will be fun to to re-learn to go backwards! Love the idea that Kink has,as well as Ezra,incorporating the design into a cassette and making them interchangeable for the people unsure if they want a coaster or just want to change their style of riding from time to time. I have an Ezra freecoaster with low slack on my Suborsa. They were suppose to be working on it.Not sure they will or not now. last quote form their FB on it was its in the works. No Karl does not ride for us now, so it yes we did take his name off the hub. The clutch plates should be arriving in the next few months if you weren't able to get them in the first place. We apologize for the inconvenience. The EZRA has 3 different clutch discs .Minimal ,medium and full.Pretty much the same as most KHE.The KHE hubs that can adjust from the outside will have more flexibility in the amount of slack. I use the minimal on all except one,which has full slack. I used full slack to learn on.Now when I use full slack it is to mess with people who want to try my bike. If they arent use to the slack it will almost always send them over the bars. locktite is a MUST for my rush v2 adjustment screw. i kinda think the screw needs a tighter tolerance from the get go. the locktite is drying now, i really hope the damn thing stays put after this. aside from that, im loving how smooth the hub runs. ha ha, me too. Broke my chain at the beginning of my ride one day at the skate park. Didn't have a spare and refused to go home because of it. Bought a coaster set up a week later. That was two years ago and I choose to ride my coaster bike over my cassette one 95% of the time. ha ha, me too. Broke my chain at the beginning of my ride one day at the skate park. Didn't have a spare and refuse to go home because of it. Bought a coaster set up a week later, that was two years ago and I choose to ride my coaster bike over my cassette one 95% of the time.